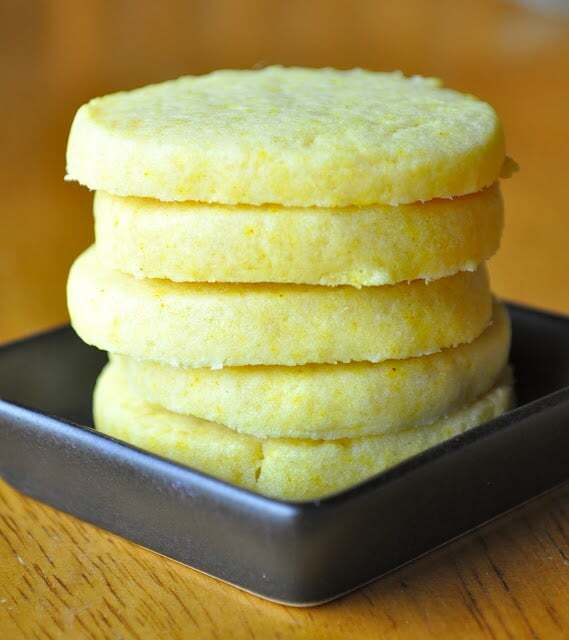 Lemon Icebox Cookies are the sort of cookie you make now when you have time to whip up the dough. Then when you’re ready you simply slice and bake! Or Refrigerator Cookies. I prefer Icebox Cookies myself, they sound very old fashioned. The name Refrigerator Cookie calls to mind a different sort of cookie beast, the stovetop cool in the fridge delight. While those have their own appeal there are firmly, in my mind, a Refrigerator Cookie. To me the Icebox Cookie was something your grandmother, smelling of rosewater, made just for her grandchildren. They were best eaten with the late afternoon sunlight cutting through dust particles in the air, while grandma looked on fondly and then sent you back outside to play. Sigh, I miss those days. Now Icebox Cookies can be made into any flavor, I happened to have flavored mine lemon because lemon sounded so cool and refreshing in the summer heat. The real charm is how flexible they are; you can make them orange, chocolate, vanilla or swirled and you can make the dough ahead of time and keep it in the icebox to use when you need cookies STAT. I like flexibility, don’t you? So have fun, try my recipe for lemon or try your own concoction. Mmmmmm…. Im totally making these soon! Thanks these look delicious and I agree with you on the name… Icebox is much more old-fashioned and lovely. Thanks! 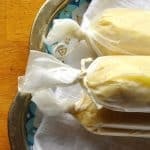 what can you use in place of the turmeric ? I would say just leave it out–the turmeric is mostly for color! I don’t see what you couldn’t freeze them. I’d wrap them well and pop them in a good freezer bag.